Dr Chan is both extremely professional and personable. I will visit again as the need arises. She's great! She's personable, hip, laid back but serious, and straight forward. She takes the time to make sure you understandwhat's happening with your mouth. She also isn't an alarmist and decisions about your oral health feels like a discussion. I don't feel like she is trying to scare me into any costly decisions while also not mincing words. Totally awesome. She's great! She's personable, hip, laid back but serious, and straight forward. She takes the time to make sure you understand what's happening with your mouth. She also isn't an alarmistand decisions about your oral health feels like a discussion. I don't feel like she is trying to scare me into any costly decisions while also not mincing words. Totally awesome. Dr. Jamie Chan is a dentist based in New York, NY. 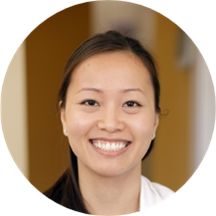 Dr. Chan earned her dental degree from the State University of New York, Stony Brook. She takes pride in providing patients with dental care that best suits their oral needs. Dr. Chan practices at Lily W Eng Oliver’s office. As a dental professional, she tries to stay updated on the latest advancements in dentistry to provide suitable treatment options to her patients. Dr. Chan and her team are there to ensure that her patients have a positive experience at the clinic. She believes in explaining to her patients about their dental conditions and helping them practice oral hygiene. Very professional. Will definitely be going back.